Welcome to Jax Paper Co.
Jax Paper Co offers people a selection of locally available larger variety of paper choices. We are here to meet all of your unique paper needs. We carry a larger selection of papers than our big box competitors and we have great prices! Our company is here to provide you with all of the paper needs you might have, such as bond paper, card stock, envelopes, metallics, glossy, linen, whites, colors, etc. We will do everything we can to assist you in choosing the correct paper for your next project. We have decades of printing experience and are more than happy to share our knowledge with our clients so that you can get great results for your printing projects. Come on in today and check out our 'small packs' where we have created packages of many of our fancy papers in affordable quantities. We are conveniently located in the San Marco area of Jacksonville, FL with ample on-site parking right by our front door. At Jax Paper Co, we have the knowledge to get you the correct paper product the first time at a competitive price. We take pride in our high quality customer service. Get in touch with us today! We search high and low for the most unique stocks available to add to our in stock offerings and have next day availability on hundreds of special order papers. There is more variety of paper on our shelves than any other store of its kind in Jacksonville. 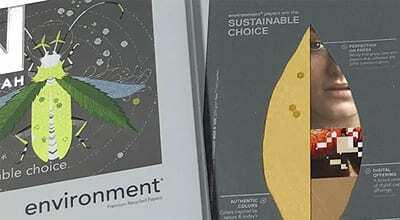 Whether you are an experienced paper fanatic like us or a student just learning about all of the unique papers and the endless possibilities of using them in your print projects we will do everything we can to help you choose the right paper for the best impact. 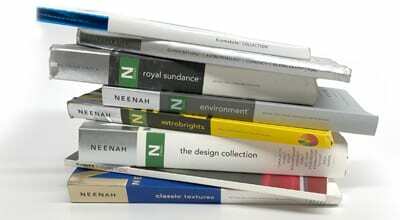 We have swatch books which make for easier selection and comparison of papers that we carry. 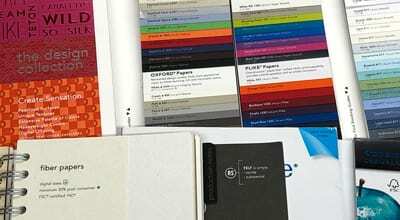 They show the colors, weights, textures and allow you to find the best paper for your needs. Even Special order stocks are usually available in no more than 1 to 2 business days. Paper is a renewable resource and many of the papers we carry are FSC® Certified and made with 100% renewable green energy. Many of the recycled stocks we have available or 100% post-consumer waste and processed chlorine free. © 2018, Jax Paper Co. All Rights Reserved.